Happy Monday all! This is my last Monday of the school year! I have been so busy lately. School has kept me really busy these last few weeks, trying to finish up my math curriculum, and prep my smarties for the two exams my teammates are giving. We have had a lot of added pressure this month because all of our APPR information is due. My evaluation is 40% based on my state assessments, which of course haven't come back yet, but that doesn't stop people from creating a TON of paperwork that has to be completed. Where would the world be without paper work! This past week was particularly crazy because I had to get a few end of the year gifts ready for the smarties on our team who met the 25 Book challenge. Out of the 84 students we have, 20 read 25 books this year. I'm not sure how proud I feel that only about one quarter of our students met this goal. Maybe ask me next week when I've absorbed more sun. 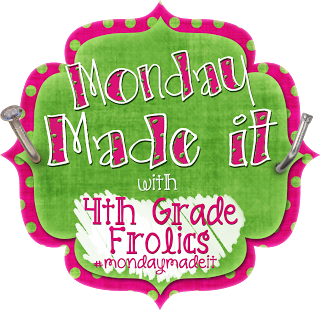 I'm linking up with TARA at 4th Grade Frolics and her Monday Made Its. Her Instagram pictures helped me get through the week, I swear! Especially after my computer CRASHED and I lost like EVERYTHING!!! But I'm not ready to talk about that yet. I made my Smarties each a gift bag containing a water bottle, pass to mini golf (THANK YOU PTA), candy, Summer Book Its, and a bookmark. On top of having to get school related items ready to roll out with my smarties, we traveled this weekend for softball. My daughter, 24, had a few really great games both catching and in the outfield. She had an ESPN worthy dive to catch a ball which I am still pretty impressed with, and a throwout at home from a bunt behind home plate. Summer softball has begun! How has life been treating you lately? Are you finishing up with school, or have you been lounging pool side for awhile? Leave me a note below and let me know I'm not the ONLY ONE STILL WORKING!!!! 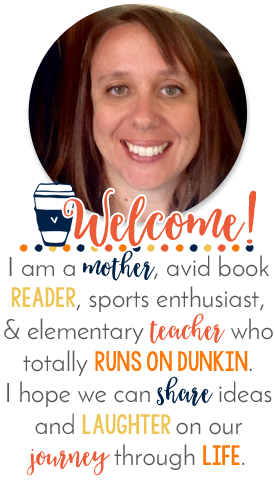 And stop by and visit Tara and share what you made this week!! Love your end of the year gifts. OK-40% of your evaluation is based on test scores??? I'm scared that's in our future, too!! And the real question is: How many students read more books this year than last year? :) That's what counts! Your student gifts are awesome! 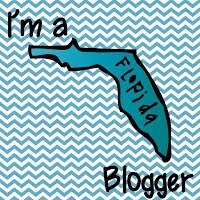 I am pinning them now! I'm still working but not exactly at school. I'm taking a class that's a ton of work, so you aren't exactly alone...I am just not inside my school building anymore. :) Hang in there! Monday the 24th is our last day!